Νew, updated book for C1 PLIDA examinations. 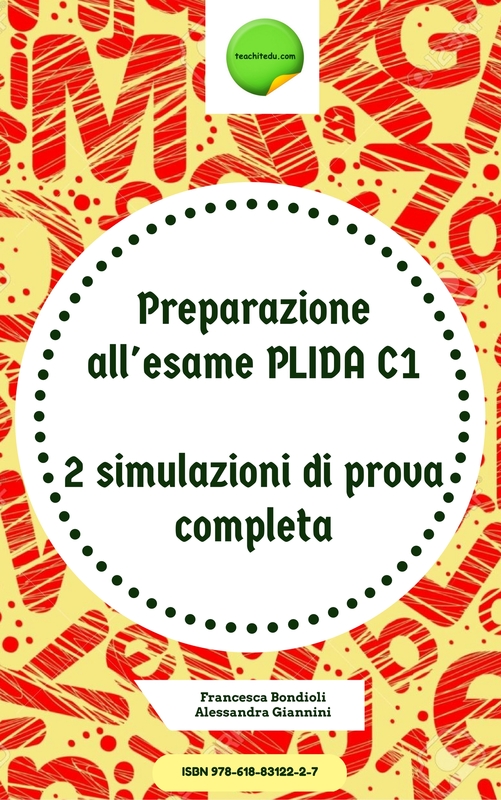 Includes 2 past papers with all the tests and solutions (prova scritta, produzione scritta, prova orale & ascolto). E-Book. Αfter the purchase you must register as a member of the website to view the e-books. The link to the e-books will be sent to you after a payment has been confirmed in an attachment (pdf file) at the top of it.